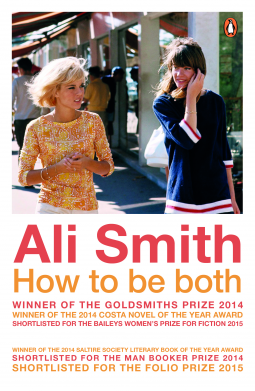 I admire Ali Smith, own quite a few of her books, so it was without hesitation that I stared to read How to be Both, knowing it was an ‘experimental’ novel, a twisting, spiralling tale which has been shortlisted, longlisted, and won awards up the ying-yang. But, I wasn’t prepared for the first 20-30 pages [it’s difficult to be accurate on a Kindle] which completely lost me. Complete non-sequiturs, verse, stream of consciousness. Rambling, with little context. If it had been an unknown author I would have run out of patience, but it’s Ali Smith so I stuck with it and fell into the story of Francescho. The writing is beautiful, atmospheric, still a little short on fact for me: a child [boy or girl?] with artistic talent, whose father is a skilled brickmaker. The story of the child Francescho twists and twirls with that of the adult Francescho, a Renaissance painter of frescoes, who in his own quiet way challenges the status quo. Just at the point when you wonder where Francescho’s story is going, Part Two starts. And what a contrast. 21st century. George is a modern-day teenager, grieving for her mother, remembers a visit they made to Italy because her mother was drawn to see a fresco by an unknown artist. There, they discover elements of the fresco which we saw Franchescho paint, their modern-deay interpretation, and Franchescho’s reason for painting them. This is a book to read and read again. Complex, challenging and beautiful, this is not an easy read, it demands concentration, but it is worth it.